Once you find the perfect house cleaning service in phoenix to help you clean your home, figuring out which services are the best for you can be tricky. Do you need deep cleaning? Weekly cleaning? What about bi-weekly, or even monthly? The truth is, every home and every family is different. Once you know what each service entails and who it is perfect for, you can decide what will work best for your home and your family. Deep cleaning is done is homes that have never been cleaned to a company's specification before. At Maid Complete we use deep cleaning to bring client's home up to our specifications before beginning a repeating service. You can also do a one time deep cleaning for many reasons, whether it is before moving, or to prepare for a large scale party; it is even great for after big events that leave behind dirt and clutter. Deep cleaning is perfect for those who just need to get into every nook and cranny of their home to make it sparkle. Deep cleaning not only includes the routine floor mopping, dusting, and cleaning of the bathrooms and kitchen. This service takes it all to the next level to include scrubbing the microwave, cleaning the molding, cobweb removal, and other detailed work. If you keep up well with household chores, but just need some help, monthly cleaning might be the best option for you. You can pick and choose which areas the maid service cleans in accordance to what you need help with. Monthly cleaning is great for those who need bigger chores done only every once in a while or for those who just need an extra pair of hands to help out every so often. Monthly house cleaning includes services that are small in detail such as cleaning of the stovetop fan, dusting cabinets, scrubbing sinks, and tidying up the basic living area. For those who just can't keep up on their own, weekly cleaning is the best option. This type of cleaning includes cleaning mirrors, dusting, mopping floors, and scrubbing the bathrooms. This is the perfect service for those with busy schedules who need someone else to step in and take care of the big chores. This does not mean you don't clean or that you can't take care of your home, it just means that you need someone to come in and help keep up with the big chores in every room of the house. For those who keep a normally clean house, but want some help on a regular basis, bi-weekly cleaning is the perfect solution. It gives you the help you need without getting in the way of your everyday life or daily routine. Bi-weekly cleaning includes services such as tidying up clutter in the main living area, appliance wipe down, mopping and vacuuming of floors, wiping down the counter tops, and other similar chores. Moving can be challenging and cleaning after you move out and before you move into your place can be the last thing on your mind. This is where Maid Complete comes in. We offer a deep cleaning service that you can purchase to clean your old home once you move out and your new home before you move in. We offer cobweb removal, bathroom scrubbing, kitchen cleaning, and other detailed work. This ensures that those who move into your old home are going into something fresh and that you are moving into a place that you won't have to scrub down right away. This service allows you to stop stressing and simply enjoy moving and focus on the little things that are truly important during the process. These options and more allow for you to really decide what you need done and get it done the right way. With so many different kinds of services, it might seem like you will never be able to find what is truly perfect for your family. 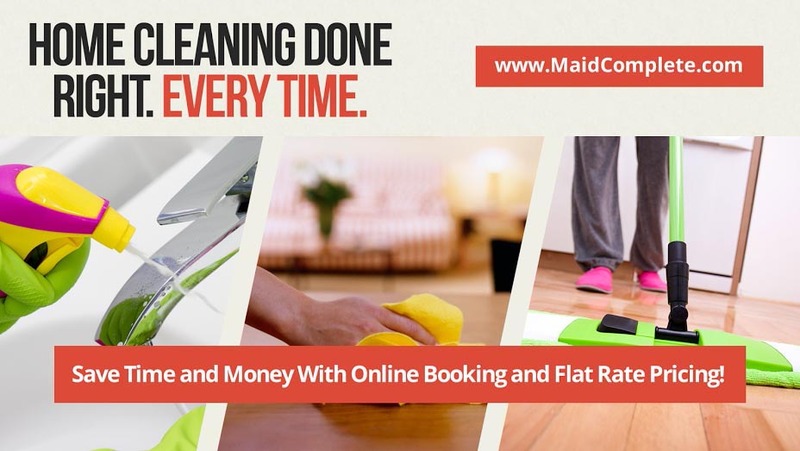 Maid Complete offers quality services and sends out reputable maids in Phoenix AZ that will treat your home as if it was their own. Finding the perfect service for your home and family does not have to be difficult, you just need to understand what you need.